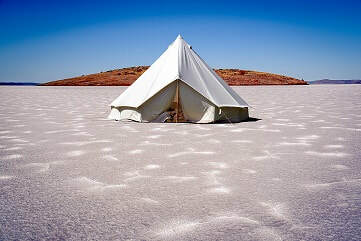 opportunity to travel through the stunning and remote desert of Western Australia to peer into the aptly named Wolfe Creek Meteor Crater; and the final destination is a once-in-a-lifetime far-flung campout on the crystal white salt plains of Lake Gairdner in South Australia. o An impenetrable frozen wonderland of blue ice-caves, steep vertical rock walls and dramatic overhangs is the first iteration of the Anything But Ordinary series. 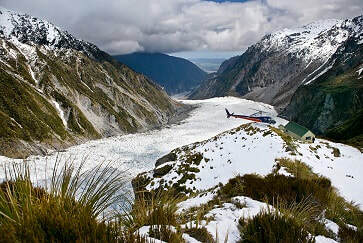 Leaving from Queenstown, guests will traverse through the dramatic countryside via helicopter, ice-climbing and snow trekking, venturing across the stunning ice with a journey as striking as the destination. A content-creators dream, at the apex, intrepid guests will find Chancellor Hut - a traditional alpine hut transformed into a tech hideout to kick back and review what they’ve captured, with a cooked dinner. Terms and conditions apply, available through the social competition advertisement. Participants are also required to sign a waiver before the experiences.